Saves Space In Your Wardrobe And Keeps All Your Accessories Tidy And In One Place! 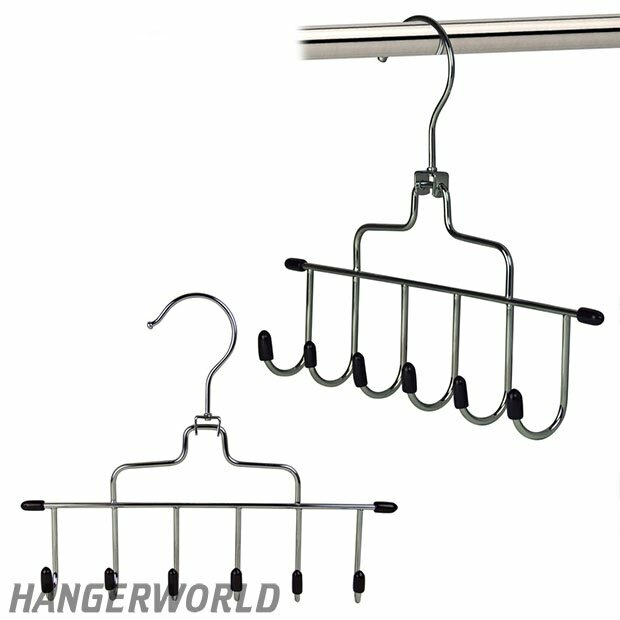 Hook Can Be Angled To Allow Hanger To Lay Flat Against A Wall Or Door!! Hangs In A Wardrobe Or Hangs Flat Against A Door Or Wall. Size: Width 22cm (8.5") approx.